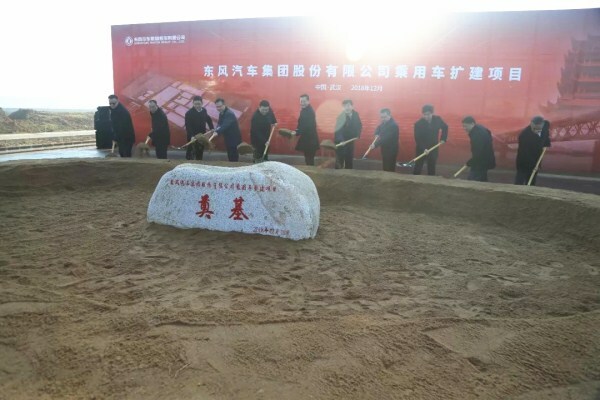 A ceremony to mark the laying of a foundation stone at a project to expand capacity to produce passenger vehicles for Dongfeng Motor Corporation was held at Wuhan Economic and Technological Development Zone (WHDZ) in Wuhan, Central China's Hubei province, on Dec 18, on the 40th anniversary of China's reform and opening-up policy. Attendees at the ceremony included Zhu Yanfeng, chairman of Dongfeng Motor Corporation, Cao Guangjing, deputy governor of Hubei province, and Zhou Xianwang, mayor of Wuhan. Named "Yunfeng", the project has received investment of 9.85 billion yuan ($1.43 billion) from Dongfeng Motor and covers an area of around 1,800 mu (261 hectares) at the zone's Phoenix Industrial Park. Construction on the project is expected to start in January 2019 and finish in September 2020. The new plant includes stamping workshops, welding workshops, assembly workshops, supporting public facilities and living service areas. It will be built according to the strictest environmental standards, using the latest technology. 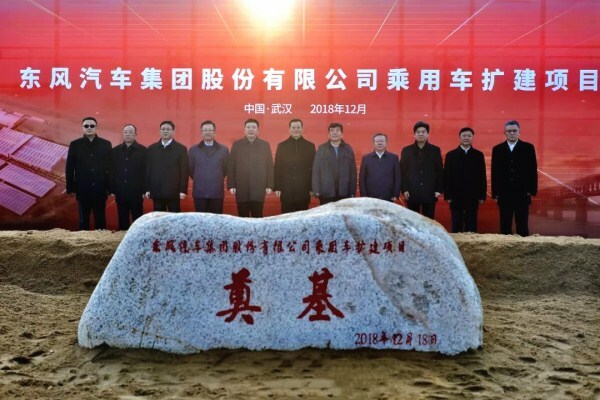 Following completion, the plant will have a production capacity of 300,000 vehicles, including different types of cars, SUVs, and new energy vehicles, representing the sixth passenger vehicle company in Wuhan. It is expected that the project will achieve an annual output value of more than 50 billion yuan, generating annual tax revenues of around 6 billion yuan. 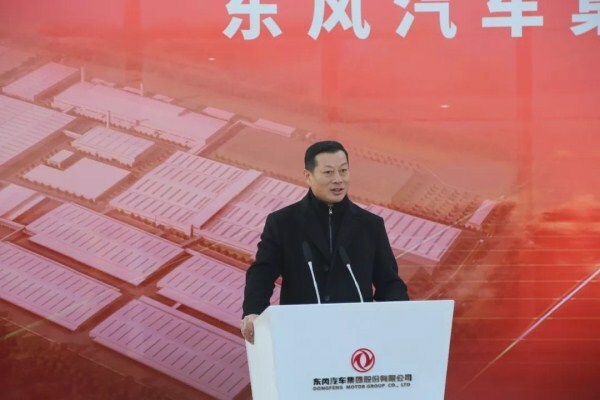 During the ceremony, Zhu Yanfeng said that the project is the result of cooperation between Hubei province, Wuhan city, WHDZ and the company, and is important to Dongfeng's future development, especially in improving the company's capabilities in manufacturing passenger vehicles and accelerating industrial upgrading in WHDZ. The deputy governor of Hubei province and the mayor of Wuhan city both spoke highly of Dongfeng Motor's contribution to local economic growth, promising more support for the company's development in the future. Statistics reveal that the automobile industry has been leading the city's growth for eight consecutive years, and the sector is expected to see output value of 400 billion yuan this year.